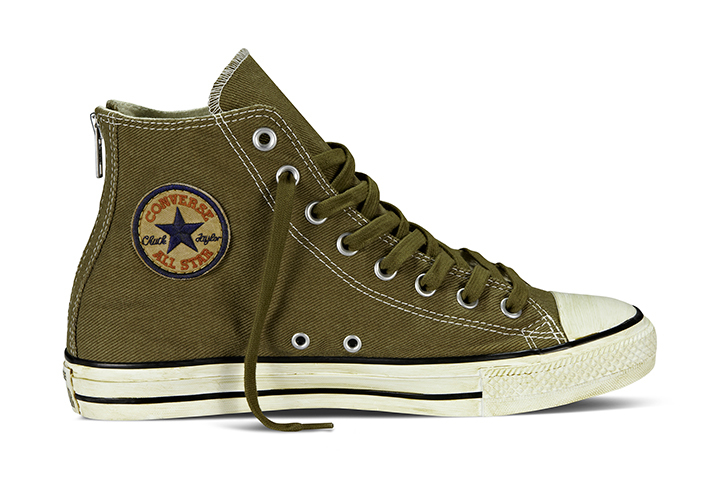 Converse present their latest collection of Chuck Taylor All Star’s with this weathered Back Zip rendition of the hi-top in 4 colourways. 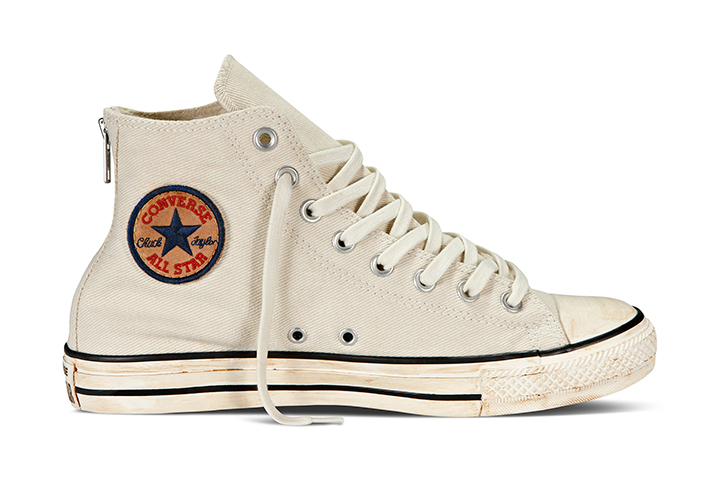 The classic Chuck Taylor All Star will never disappoint and continues to make up for a large part of Converse’s business. With this in mind, they like to challenge themselves to breath new life into the silhouette each season and here we see them apply a zip to the rear of the hi-top model to make them less of a nightmare to get on and off (which those of you have own a pair will know about). What is the real highlight of this collection however is the distressing applied to the sneakers – it’s something I usually don’t like, quite simply because most brands fall miserably at this hurdle, but here it’s done really well and adds to an already appealing shoe. The retro patch branding on the side is a nice touch also. For me, the white colourway still wins hands down. 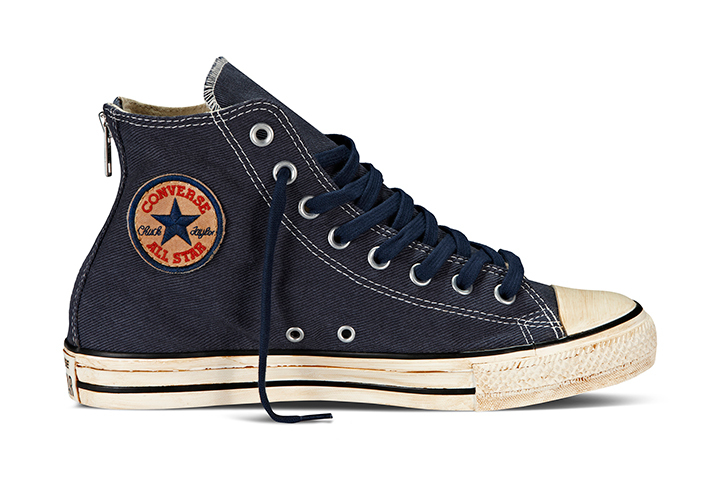 The Converse Chuck Taylor All Star Back Zip collection is available now from Schuh and Office for £60 a pair.